Our roofers at Axis Roof and Gutter in Mukilteo, WA are certified installers from top roofing manufacturer from our market. If you are looking for roof installation from trusted roofers, you’ve come to the right place. We’ve roofed in your Mukilteo neighborhood for years, so we can give you some ideas of what a certain shingle style and color will look on your house. 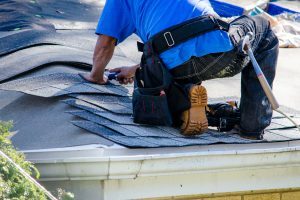 If your roof has been damaged, you will need an immediate roof repair service as it may cause you more serious problems over time. We understand how frustrating and inconvenient it is when you need to get your roof repaired. Axis Roof and Gutter strives to make the roof repair process as quick and easy as possible. From initial inspection to dealing with your insurance company, we take care of everything for you. If your gutters are old, leaking, or damaged, you need to consider getting it replaced before they get any worse. 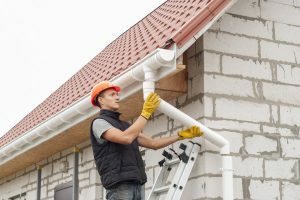 Installing new rain gutters isn’t too hard to do, but it’s definitely not something you want to try if you’re not an experienced professional. Gutters keep excess water from pooling on your roof, driveway, or sidewalk. Along with rainwater comes fallen leaves, so it’s important to keep your gutters clean for them to work properly. We can give our customers options from aluminum to steel seamless gutter systems, and a wide variety of colors to choose from. We install our new gutter systems with 2x’s the recommended fastener length to be assured they will hold up to the heavy debris of overflowing gutters to snow loads. All new gutter systems come with workmanship warranties. New gutters can also compliment your home accents and add that finishing touch to your remodeling project. Remember to have your gutters protected and checked yearly. With our experienced staff and specialized equipment, we will remove excess leaves and debris, clearing the way for water to flow through as it should.